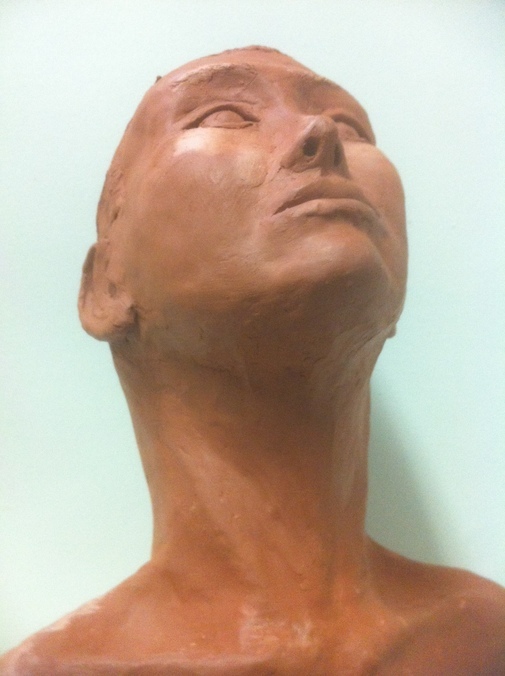 A red clay sculpture in progress in 2013 titled, "Looking Up." 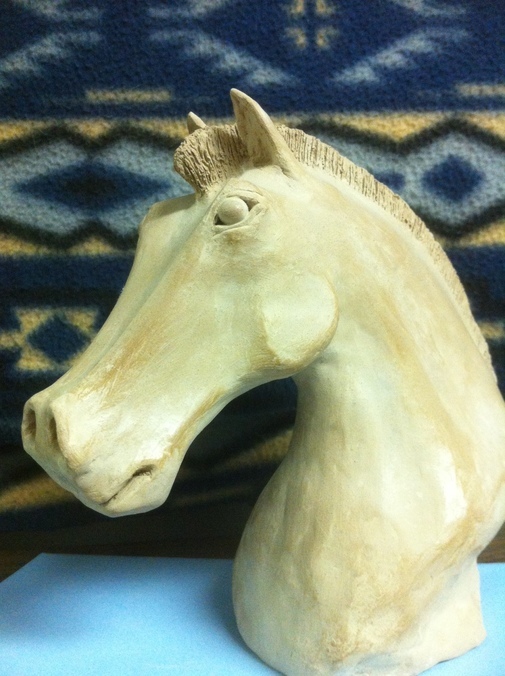 This is a very stylized sculpture of my mountain horse Big Jake. When I first bought him he had been kept in a small pole fenced paddock and had worn his mane off reaching between the rails for green grass. So I cut his mane short just to neaten it up. It grew out surprisingly just like a Roman war horse and it suited him well as that was the kind of personality he had. Fearless, strong and adventurous. I took this picture at Charlie Lake near home. This isn't something you see every day. 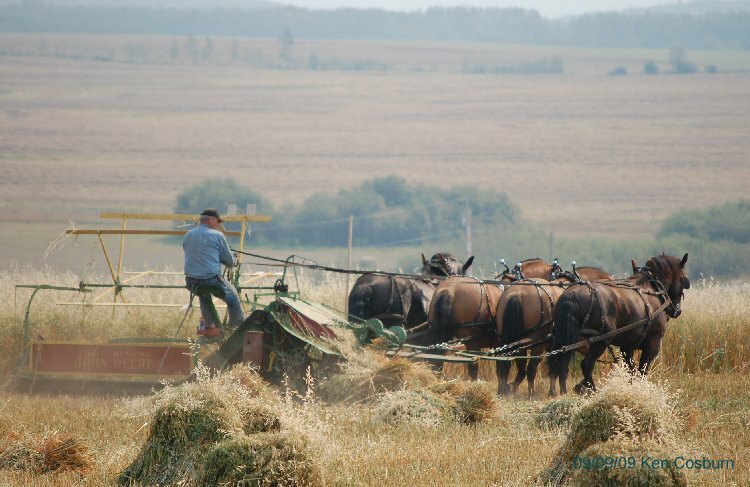 A team of Percherons, four in hand.